As a PrivacyGuard customer, you can receive your latest triple-bureau credit report and CreditXpert Credit Scores™ every month. See details. Reviewing your credit report on an ongoing basis is the best way to find inaccuracies that could harm your credit, as well as spot signs that your identity may be in jeopardy. Inaccuracies on a credit report can happen at any time, so it's important to discover these issues and investigate them as quickly as possible. If you have never looked at a credit report before, here is what you need to know. Your credit report is a file containing a variety of personal data about your financial life and your credit. It can include income information, address history and your credit history. Inside your credit report, you will find information such as how many credit cards you own and how much available credit you have, any mortgages or car loans, any lines of credit, and your payment history. There can be positive items on your credit report, such as a history of on time payments, and there can be negative items, such as defaults on loans, excessive amounts of debt, late payments or bankruptcy filings. 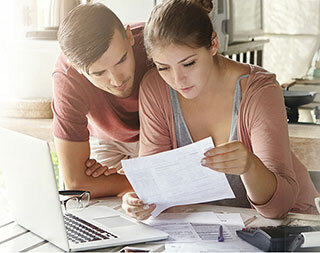 Whenever you apply for credit, or even for such items as homeowners insurance or rental agreements, the lender or agent may pull your credit report to determine your level of risk. One of the reasons that it is so important to maintain good credit is that a better credit report can mean more favorable loan terms, lower premiums and more financial flexibility. Your credit data is not compiled by a single agency. 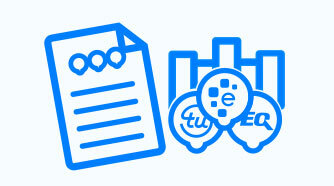 There are three major credit reporting agencies that collect credit information. These are Equifax, Experian and TransUnion. Whenever you take a credit action, the lender or other people involved may report the information to one or more of these agencies. Since each agency is independent from each other, the information each agency may have on you could vary. The monthly triple-bureau credit report that PrivacyGuard provides is a great way to ensure that each agency has accurate information on you throughout the year. Upon joining PrivacyGuard, you can receive your latest triple-bureau credit report online in seconds. See details. When you receive your credit report, carefully review it to see if any of your information seems unfamiliar or inaccurate. PrivacyGuard's toll-free Credit Information Hotline is available to help you navigate through your credit report and understand the information it contains. If you find a discrepancy, it could mean anything from a simple inaccuracy to a case of identity theft. Either way, you'll want to dispute the item and take the required actions to correct it. PrivacyGuard can help you with this process. While it's helpful to view your credit report throughout the year, you don't have to look at it every day. That's because, for all intents and purposes, PrivacyGuard does that for you. PrivacyGuard's daily triple-bureau credit monitoring will notify you of certain changes to your credit report. So if an inquiry is made on your credit or if a new account is opened, you will be alerted and if needed, get the help to investigate the activity. See details. In addition to using your credit report to help protect your credit, you can use it to develop strategies for affecting your credit too. With the What If Credit Score Simulator and Financial Calculator Suite from PrivacyGuard, you can see how different tactics might impact your credit scores, and figure out the best way to budget your finances. As a PrivacyGuard customer, you can receive your latest triple-bureau credit report and CreditXpert Credit Scores™ every 30 days. See details. Sign up now, and review your credit report today. Trilegiant Corporation, Trilegiant Insurance Services, Inc., Alliance Marketing Association and their credit information subcontractors shall not have any liability for the accuracy of the information contained in the credit reports or Credit Alert® reports which you receive, including any liability for damages, direct or indirect, consequential or incidental. PrivacyGuard is not a credit counseling service and does not promise to help you obtain a loan or improve your credit record, history or rating. Daily monitoring will notify you of certain new inquiries and derogatory information, accounts, public records, or change of address that have been added to your credit reports as reported by one of the major credit reporting agencies. If no information has been added or changed, then you will receive a monthly notification stating that no information has changed within their credit file.